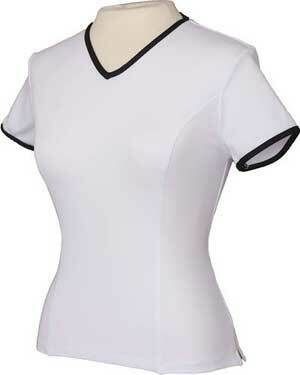 Fitted short sleeve White Tennis Tee with Black trim. Looks great teamed with the Black Susanna Skort. Machine wash 40C, cool iron, stretch technical micropoly fibre.